On Saturday, March 30, 2019, 296 boats with two anglers and a boat driver per boat left Guntersville State Park at 6:30 a.m. to compete for the title and $3,200 to be donated to the winning high school fishing team. A win also would secure the team a spot in the Mossy Oak Fishing Bassmaster High School National Championship. For over 2 hours, Westin and Josh fished hard but didn’t get any bites. Westin had decided he’d win or lose the tournament fishing a 1/2-ounce jighead with an exposed hook on a 5-inch shad-colored Driftwood Custom Baits swimbait. After testing several lures, Josh changed to that same lure. Every bass the team weighed in during the tournament was caught on that lure. 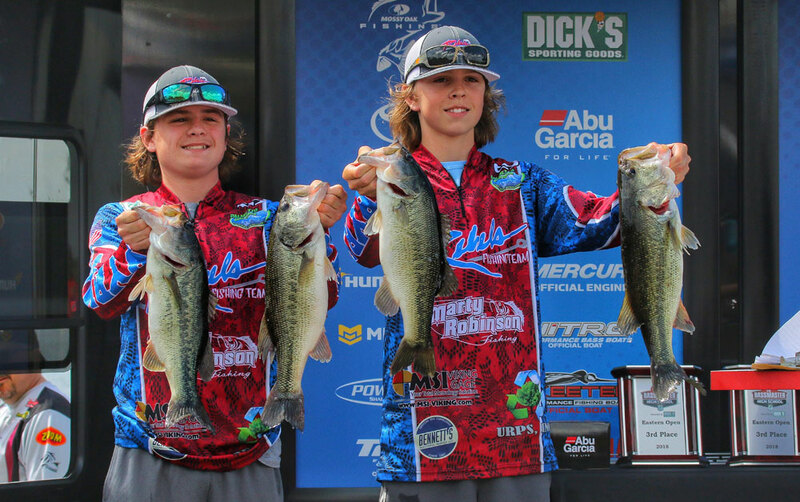 Drama was also unfolding at the weigh-in station, as Laney Skipper and Taylor Brown of Alabama’s Rehobeth High School took the early lead with 18 pounds, 7 ounces. They were tied by Brody Robison and Levi Cox of Alabama’s Sand Rock High School, who also had 18 pounds, 7 ounces. The tie for first place at that time was broken by the 5-pound, 8-ounce largemouth Robison and Cox had caught, that was bigger than the 4-pound, 13-ounce bass anchoring Skipper and Brown’s limit. 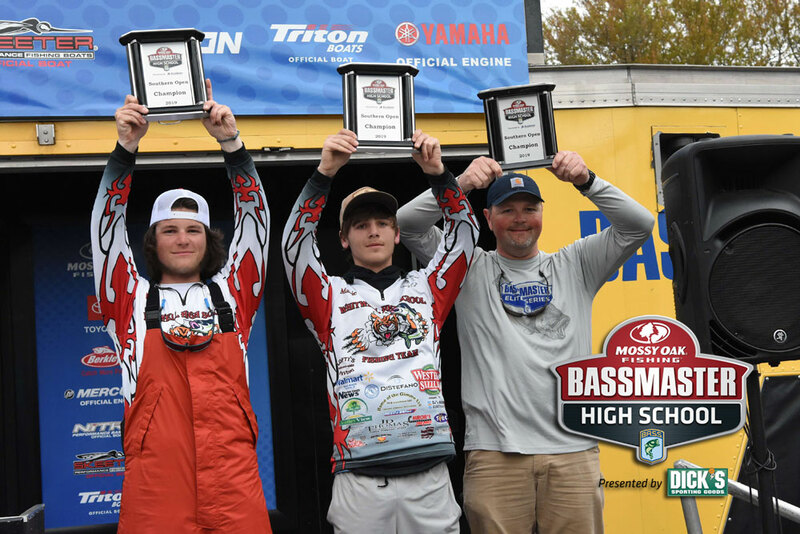 However, when Westin and Josh came to the scales, they weighed in a five-bass limit of 20 pounds, 11 ounces, to win the tournament for Whitwell High School. Robison and Cox took second place and received $2,000 for the Sand Rock High School fishing team. Skipper and Brown took third place and earned $1500 for the Rehobeth High School team. The new Junior Division includes teams from grades second through eighth and was won by Tristen Boyd and Reagan Hershman of Grundy County, Tennessee, with 12 pounds, 6 ounces. Midland USA is pleased to announce the X-Talker T295VP4 Two-Way Radio, offered in Mossy Oak Break-Up Country. The radios are immediately available. 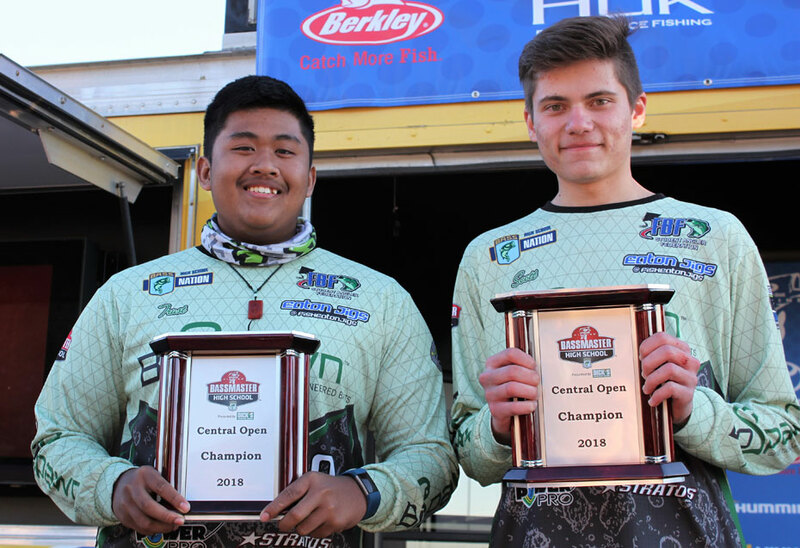 As title sponsor of the Bassmaster High School Series and official pattern of B.A.S.S., Mossy Oak Fishing is thrilled to congratulate Colby Badeaux and Tyler Jordan from Live Oak High School in Watson, Louisiana, on winning the 2019 Mossy Oak Fishing Bassmaster High School Eastern Open presented by Academy Sports + Outdoors.